After separating from her husband, Leona McCauley moved with her son and her daughter, future civil rights activist Rosa Parks, to her parents’ farm in Alabama. McCauley was a teacher and taught her daughter to read at a young age. The segregated schools Parks attended often lacked the most basic school supplies, even desks. In a 1995 interview with the Academy of Achievement, Parks recalled that her mother “did not have the notion that we were supposed to live as we did, under legally enforced racial segregation. 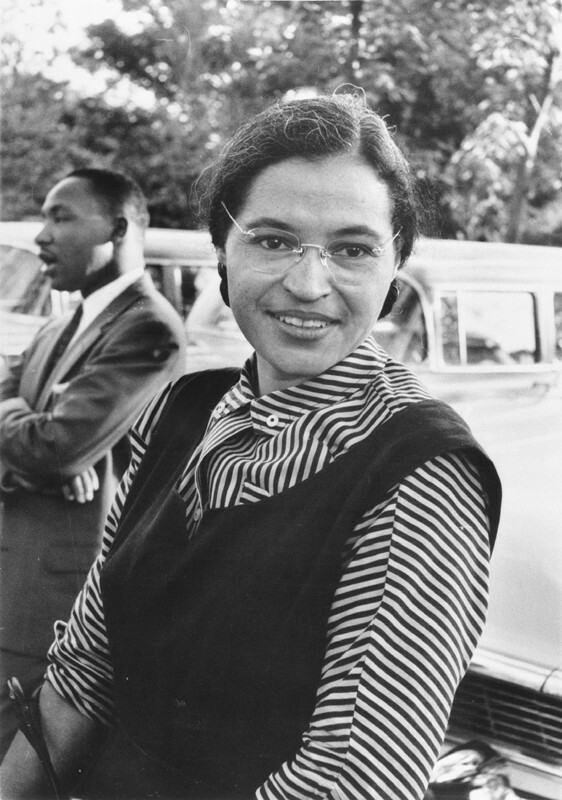 She didn’t believe in it.” Parks’s famous refusal to surrender her bus seat to a white passenger in 1955 spurred the Montgomery boycott and other efforts to end segregation. After her death in 2005, her casket rested in state in the rotunda of the United States Capitol for two days, making her the first woman and second African American to achieve this distinction.